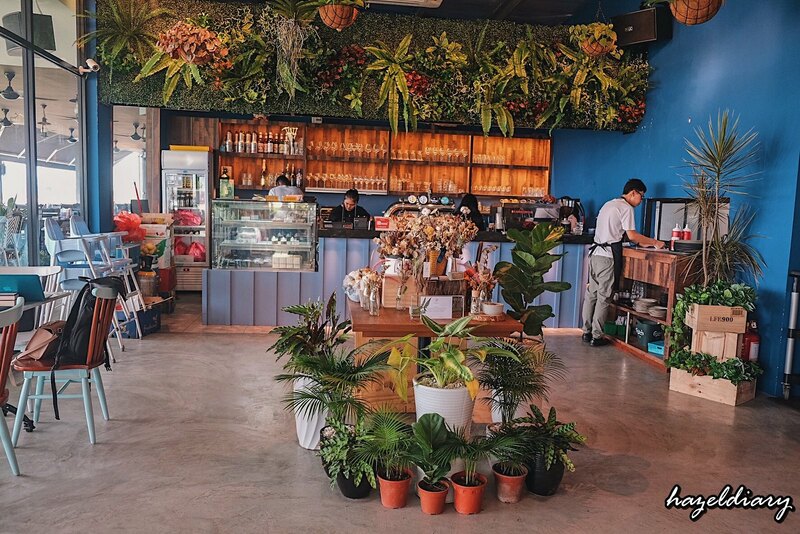 Recent new cafes opening in Johor Bahru are mostly in floral or garden themed concept including Bora Bora Botanist. 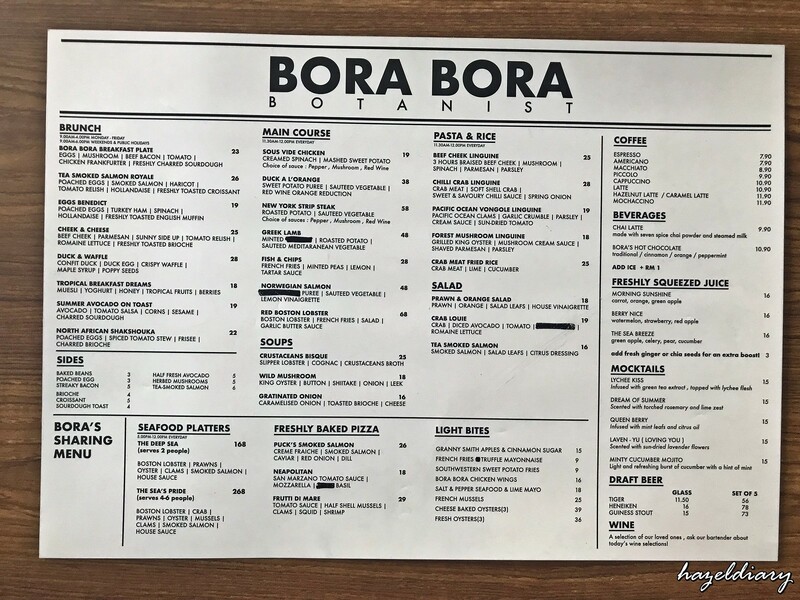 Bora Bora Botanist Café is located at Senibong Cove, which is approximately 20minutes drive from JB immigration checkpoint. 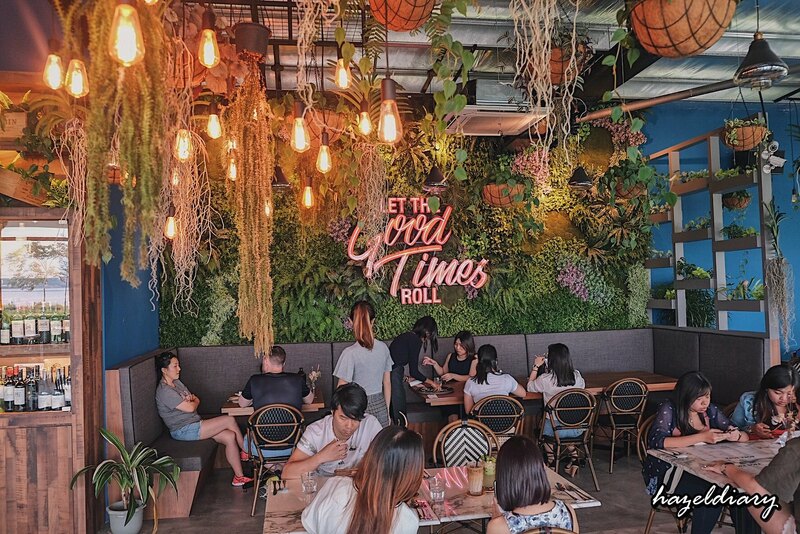 It is just a short drive away from Vanilla Bean Café and also the seafood restaurants like Restoran Todak and TKK Seafood Restaurant. Senibong Cove is a waterfront residential community area located at Johor Bahru’s east coast sanctuary. It is considered a new residential area located right opposite Singapore. The café is located along with other restaurants within this tranquil area. 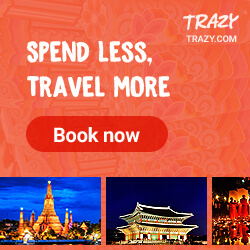 The only ways to reach here is by driving or GRAB services. The GRAB fare from JB immigration/ Komtar JBCC is approximately RM14.00~S$4.67 for one way. The café has indoor and alfresco dining area. We were there on Saturday and lucky to secure indoor seatings. It seems like a hot place currently as the service staff’s first question was “ Did you make reservation?” the moment we stepped in. 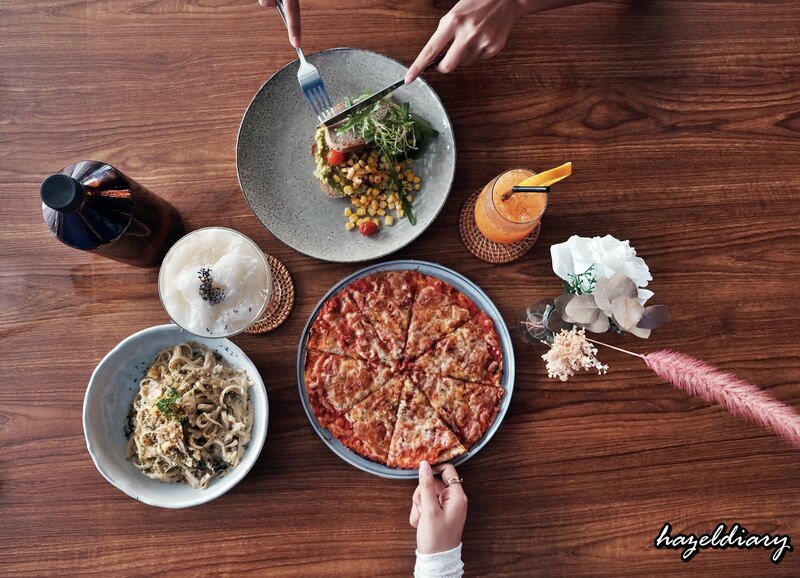 The menu is quite comprehensive including brunch menu, mains, pasta, salads, pizza and desserts as well. I read online reviews and mostly ordered seafood platters to share. However my cousins are vegan eaters, we ordered vegan dishes to share. We loved avocado so we decided to order this dish. 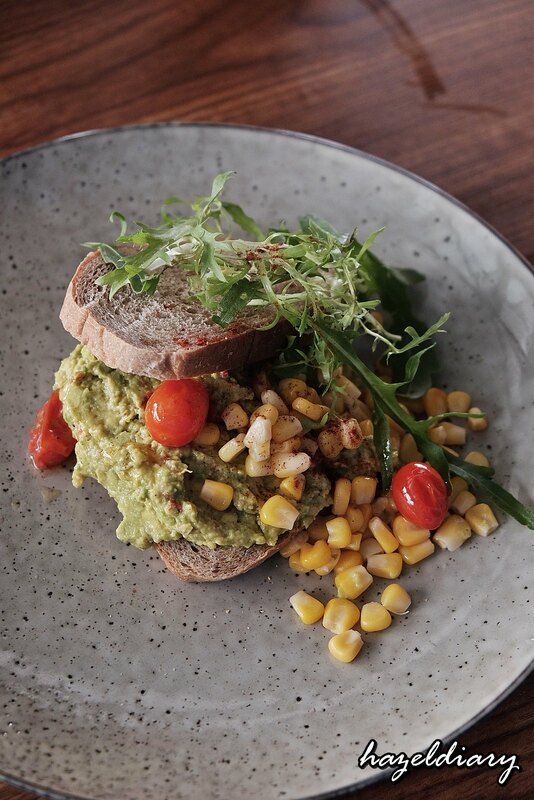 Two slices of charred sourdough topped with smashed avocado, tomato salsa, corns and sesame. It is a healthier choice but we reckon it would be better if they include eggs to complete with ecstatic and also the servings. 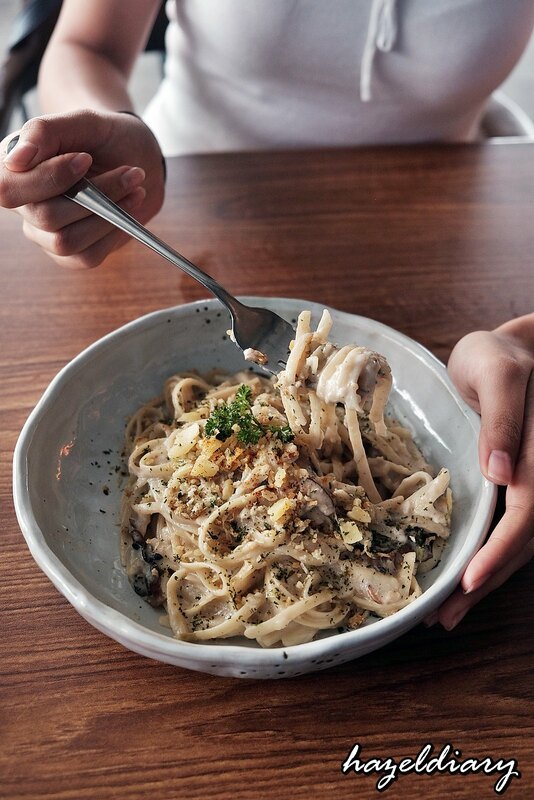 Pasta served with grilled king oyster, parsley,mushroom cream sauce and shaved parmesan. 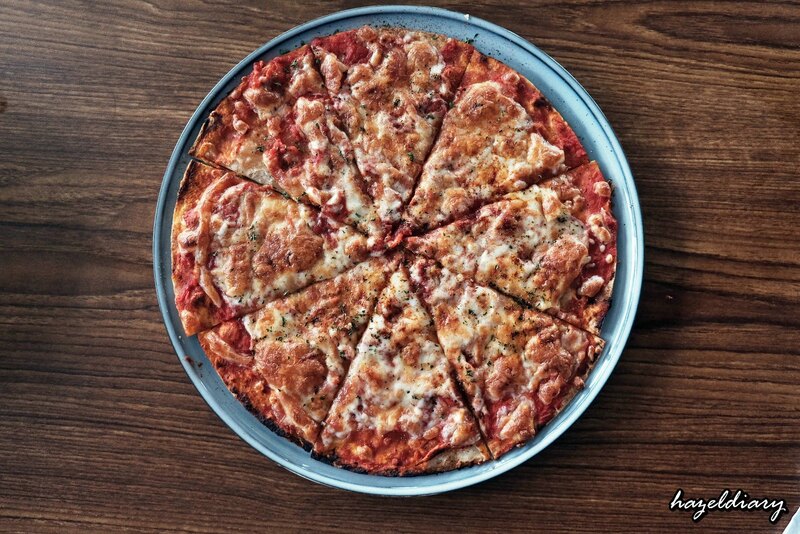 Thin crusted pizza served with San Marzano tomato sauce, mozzarella and basil. 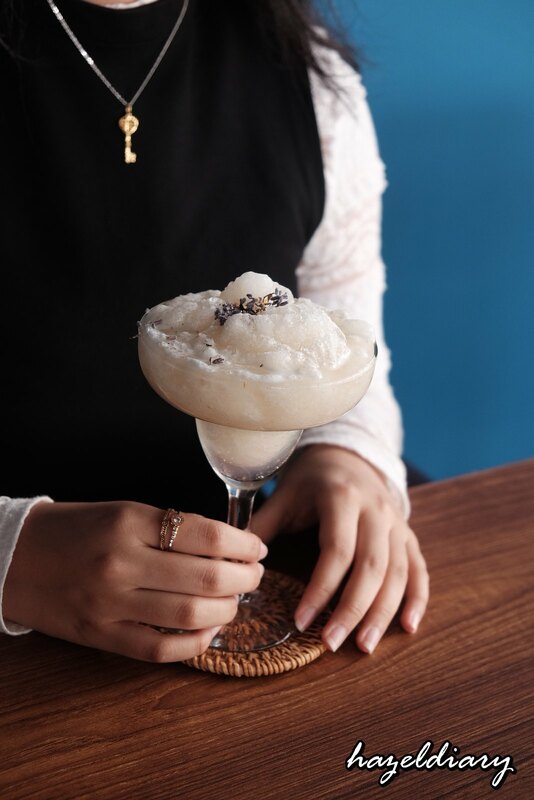 We asked the staff to introduce their instagram-worthy drink and he recommended this. The mocktail drink scented with sun-dried lavender flowers. My cousin is very health conscious and she ordered this carrot, orange and green apple juice. She also requested to add chia seeds RM3.00~S$1.00 to the drink. Total bill was RM97.90 ~S$32.63 inclusive of 10% service charge.I would say there are hits and misses in terms of the food quality and price. Anyway, taste is based on individual preference. But one thing for sure, this place is quite attractive in terms of their interior space and the location. 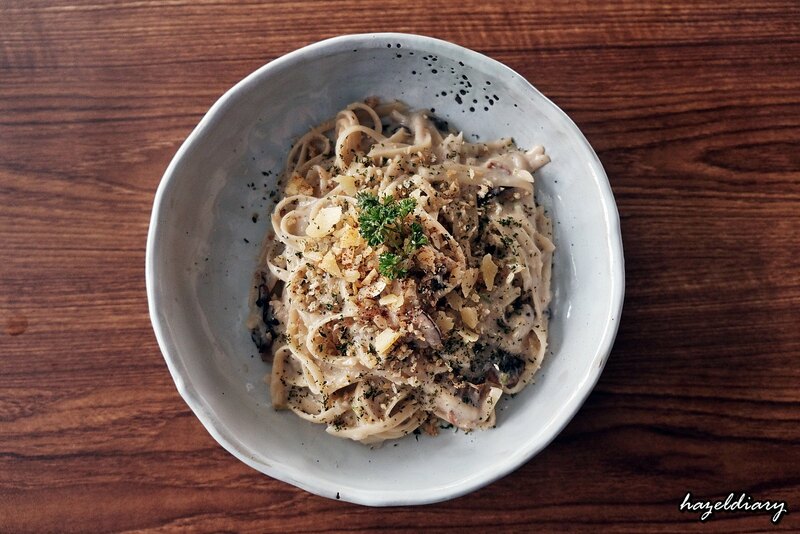 You can enjoy your savoury here and hop over to Vanilla Bean Café for their well-known hotcake dessert. 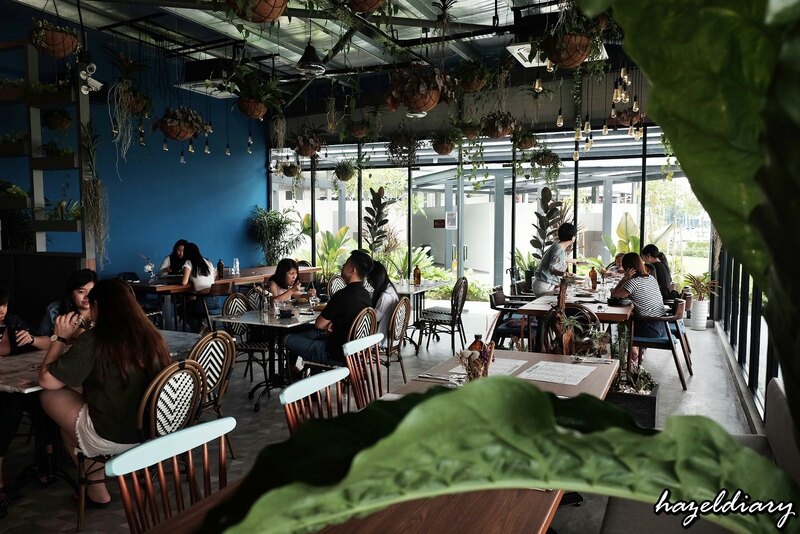 Read about other JB cafes by areas here.